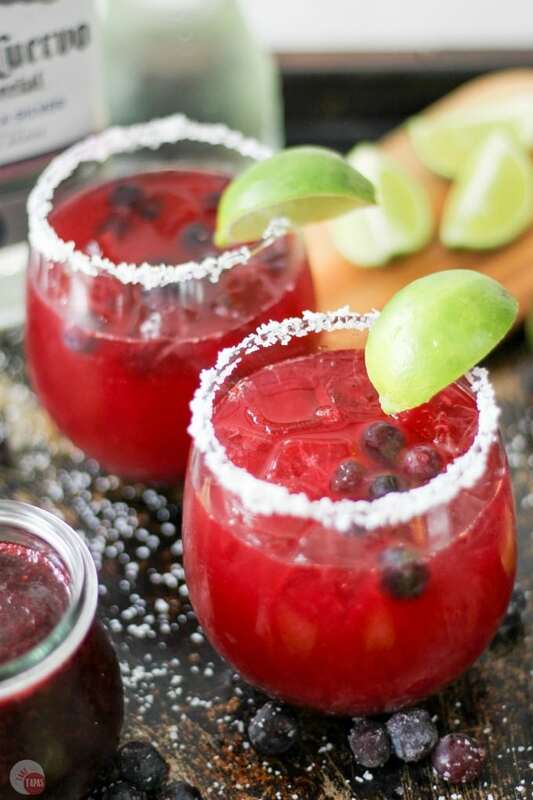 10 Yummy Fruity Margarita Recipes for you to try! 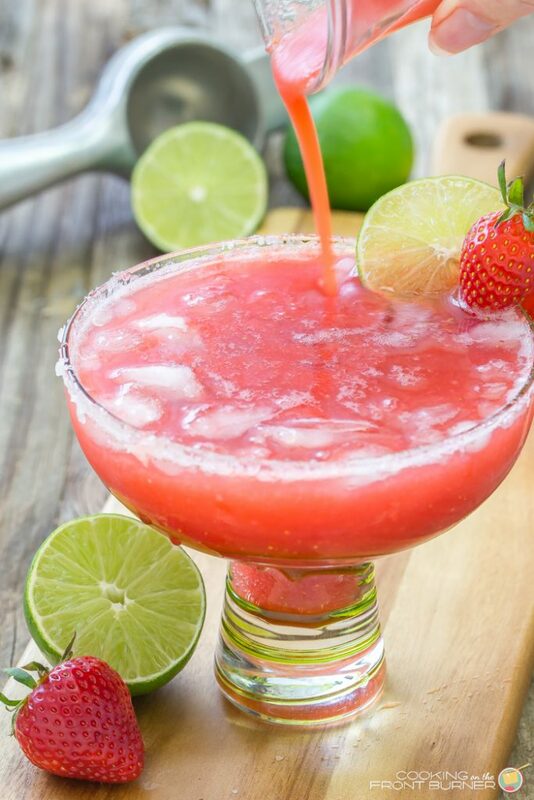 Margaritas always remind me of the summer, the beach, and in general, taking it easy! And we’re getting a fun head start on Cinco de Mayo! If you love Mexican inspired dishes, check out these recipes: 18 Yummy Mexican Inspired Recipes. 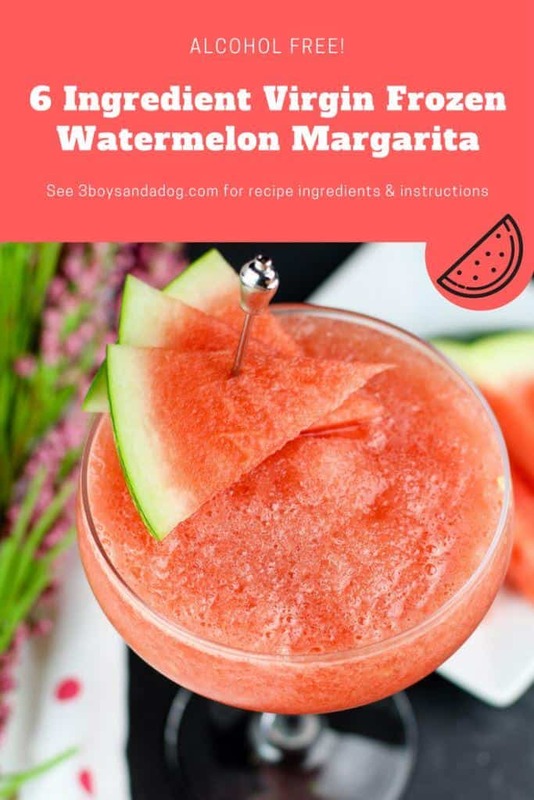 I hope that you enjoy these fruity margarita recipes! Please click the blue/gray links to be taken to the source with the recipe. Let me know which is your favorite! Thank you to all the bloggers who linked up their yummy recipes with us. If you’re a blogger and would like the opportunity to be featured, stop by the blog on Monday evenings and link up your favorite ideas. I’d love to feature you! Jennifer picked these blueberries fresh in the spring, and froze them to use later. Perfect! 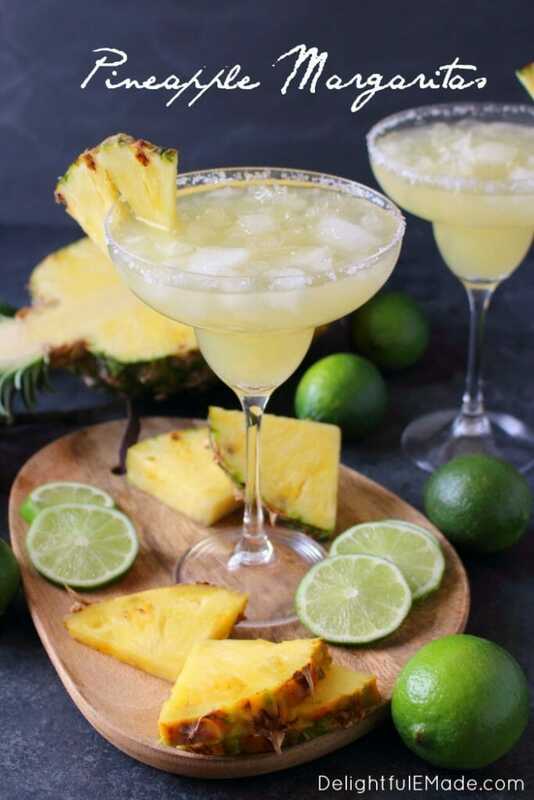 Erin says it best: “Not overly sweet or syrup-y, this Pineapple Margarita has just the right amount of lime-citrus, paired with the pineapple flavors that make it really stand out from something you would otherwise make with a mix.” Delicious! Kendra makes her own strawberry concentrate in big batches, and pulls them out of the freezer when she needed. All of the recipes are on her blog! 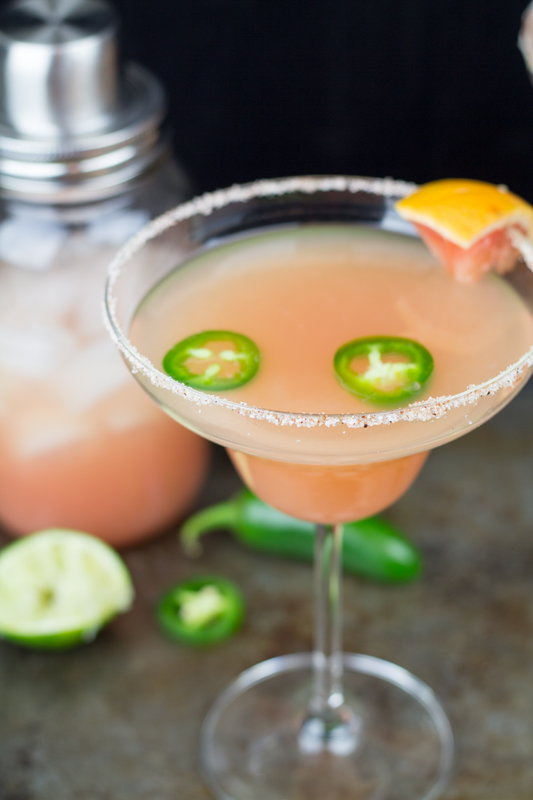 Grapefruit and jalapeno peppers make for a great combination of sweet and spicy. Perfect for summer! Deb also has a great guacamole recipe as well! 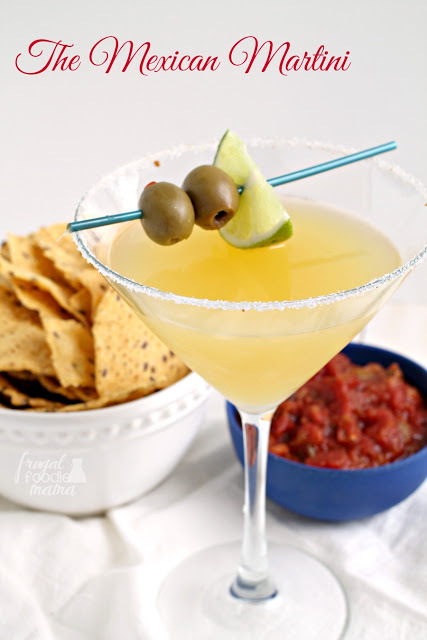 This martini margarita with limes and olives is meant to be sipped and savored. So yummy! 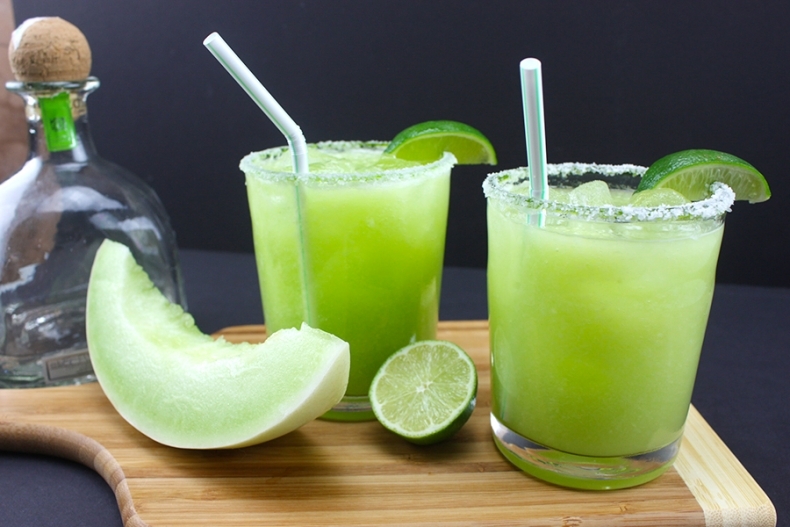 Okay, okay, so I know I said fruity margaritas, but lime is a fruit! 🙂 This margarita is unique in that it contains ginger beer. Give it a try! 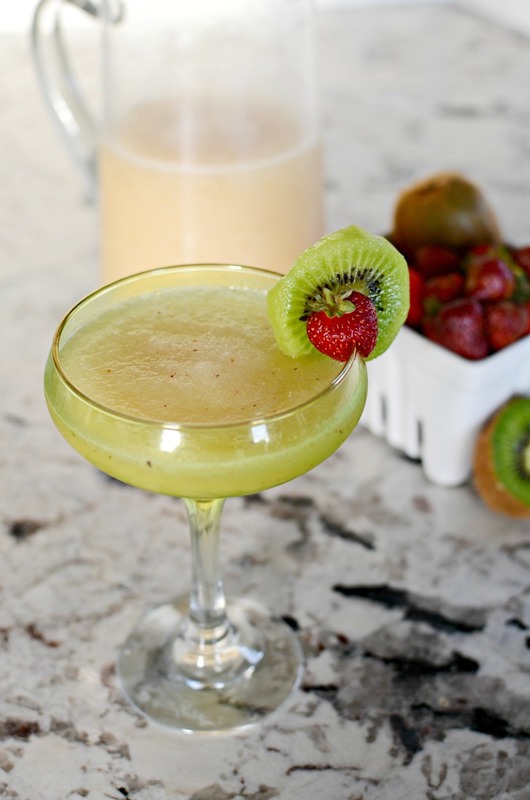 Great for a crowd as honeydew is inexpensive during the summer months. 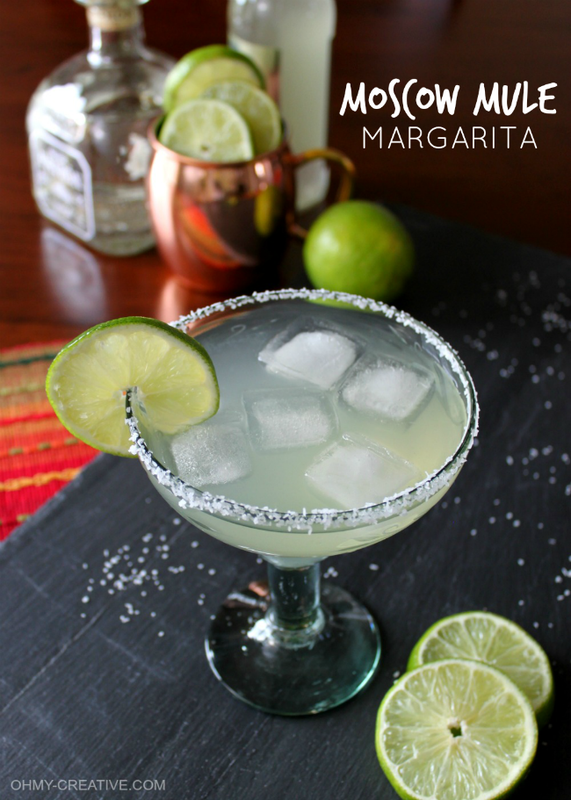 A fun twist on the classic margarita! 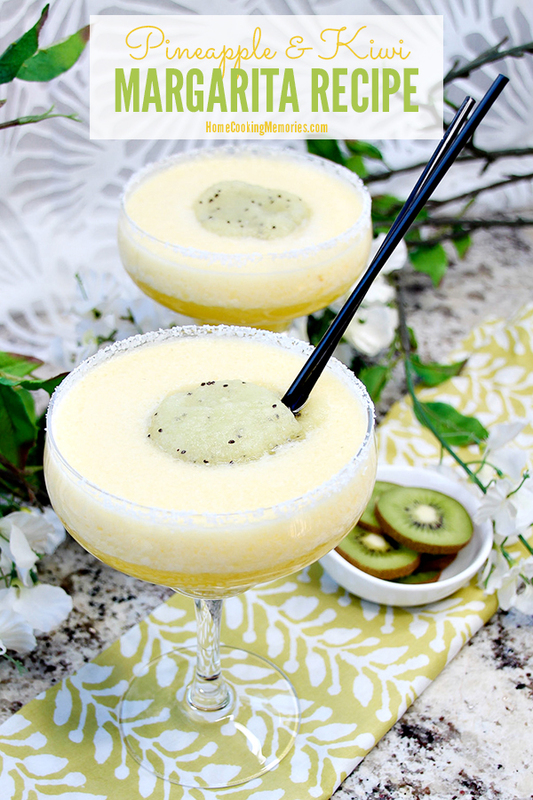 You’re sure to wow your guests with this gorgeous pineapple and kiwi margarita! And something fun for kids, or anyone not wishing to partake in alcohol. It’s always great to have something on hand! Thank you for including our recipe in your roundup! Pinned & tweet scheduled! Thanks so much for linking up and sharing great content!